Nashville, TN – May 23, 2016) – Motown Gospel presents 1 Mic 1 Take, recorded live at Capitol Studios in Hollywood, CA. 1 Mic 1 Take will be available at retail and digital outlets everywhere on Friday, June 3rd. The ten-song acoustic gospel compilation includes five of Motown Gospel artists performing two songs—stripped of mass production to focus on the message and the voice. Many selections are already popular while others are receiving a well-deserved shot for wider exposure. The participants include GRAMMY®-winners Smokie Norful and Tasha Cobbs as well as award-winning artists Myron Butler & Levi, Brian Courtney Wilson and newcomer Royce Lovett. In sequence order, the compilation opens with Brian Courtney Wilson’s GRAMMY-nominated titled track “Worth Fighting For,” which also earned him both Dove and Billboard Award nominations. The compilation continues with Tasha Cobbs’ “For Your Glory,” her second single from her GRAMMY-nominated and chart-topping album, Grace. Multiple Stellar Award-winning artist Myron Butler & Levi’s “Nobody Like Our God” is featured from his new studio album, On Purpose. The majestic call and response praise and worship number is performed to piano, backing vocals and snare drums accompaniment. Singer and songwriter Royce Lovett performs “Write It On The Wall.” He dubs the music he takes all around the world as Cerebral Soul. “Write it On The Wall” is the title track of his debut EP (following six self-released projects with titles such as Ought-ism and Acoustic Incentive). Co-penned with Nate Butler, Matt Armstrong and Bryan Fowler, the song is performed here by Royce to guitar accompaniment only. Wilson’s second offering, the guitar driven “Mindful,” also featured on Wilson’s Worth Fighting For project is a heart-stilling declaration about staying the course to grow ever-closer to the Lord. Butler’s title-track “On Purpose” is the introspective jazz-tinged song on Butler’s latest album, beautifully rendered with piano, drums and support vocals. Lovett’s “Say Something (Sasha)” is a catchy reggae pop song (co-penned with Nate Butler) that finds him reaching out to a girl in need of Christ in her life. He incorporates singing and rapping to fervently get his point across in this touching performance that he closes a cappella with finger snaps. Smokie Norful’s brilliantly written “Imperfect Me” (co-penned with Antonio Dixon, Habsen Jones, Harold Lilly & Demonte Posey) is sung solely to piano accompaniment. It was originally recorded on his chart-topping album, Forever Yours. Cobbs’ “Jesus Saves” is her self-penned rock solid comfort song first introduced on her One Place Live album from 2015. 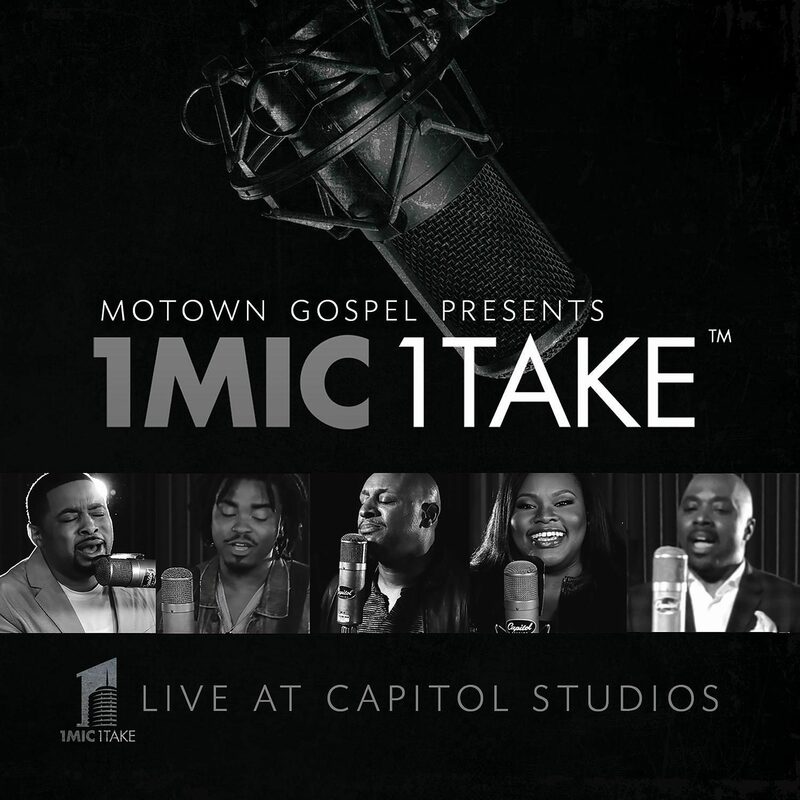 1 Mic 1 Take closes with Norful’s “Forever Yours,” the title track (co-penned with Antonio Dixon and Demonte Posey) from Norful’s latest 2014 album, bridging soul music with sacred gospel.